Cooper is one of my happiest students. Even if he has a decent reason to feel down in the dumps, he never seems to go there. Thanks, Cooper, for brightening my day every week! Cooper is always willing to try something new or difficult or scary. The stage makes him as nervous as it does most of us, but he’s taken that courageous dive into performing his music several times after playing for only a couple years. It seems we love much of the same music from movies and TV shows, chiefly John Williams (Star Wars, Jaws, Indiana Jones, ET, Jurassic Park, Harry Potter), which serves as most of our musical content for lessons. 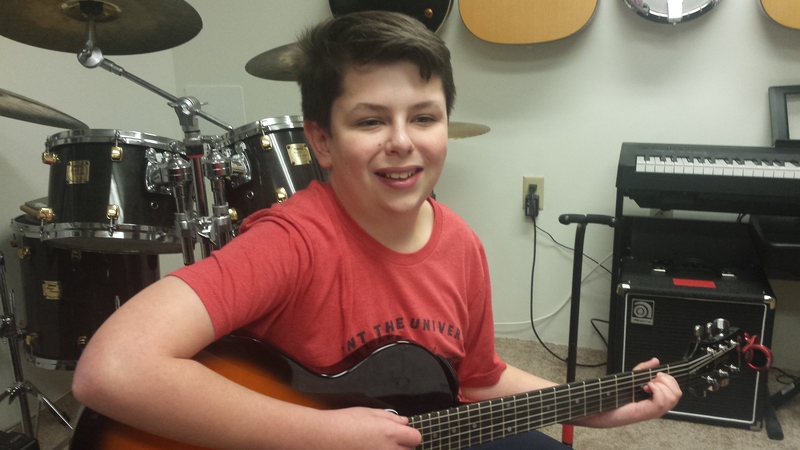 In his Student of the Month video, Cooper will play “Hedwig’s Theme” from Harry Potter.